Competition between Australian states is nothing new, but the claims about the Land 400 program by Victoria and Queensland in the past few months have taken it to a new level and highlight a disturbing lack of insight. Defence acquisition isn’t fundamentally about jobs, yet these two states have just spent hundreds of thousands of dollars on advertising, hoping to win their ‘fair share’ of work. On the strength of such campaigns, the public could be forgiven for thinking that defence procurement is predominantly a job creation function of the federal government. Exercising the responsibility detailed in Section 51(vi) of the constitution, the Commonwealth invests significant amounts of taxpayers’ money in military equipment to deter aggression and, where necessary, to fight and win wars. The equipment selected must give our forces a lethal edge over opponents, which means that over the service life of the equipment it must be affordable, available when needed and effective against the threat that’s current at the time. It’s this latter element of ‘affordable, available and effective over the life of type’ that means that while jobs aren’t the primary determinant of procurement decisions, they should be a consideration. There are elements of industry that our defence force needs in order to maintain, modify and repair equipment over the years that it’s in service. That’s why the First Principles Review (FPR) recommended that industry be considered as one of the fundamental inputs to defence capability. Defence has long recognised other fundamental inputs to capability (FIC), being things such as people’s individual and collective training, organisational structures and doctrine. The concept of industry as an FIC is a paradigm shift for Defence. It means the government recognises that it’s in the national interest to ensure that the required elements of industry are there when we need them. Therefore, partnering with industry to grow and sustain the required industrial competence and capacity becomes a consideration in procurement. This is a fundamentally different approach to that of many nations, which require ‘offsets’ from equipment providers. Offsets and similar approaches generally just create jobs for the sake of employment, rather than being designed to underpin the sovereign ability to make risk-based decisions about our own military capability. The future strategic basis for this partnership with industry will be the Sovereign Defence Industry Capability Plan foreshadowed in the 2016 Defence Industry Policy Statement (DIPS). Increasingly this will inform decisions regarding the government’s procurement strategy and will aim to consider industry from a programmatic perspective, rather than on a project-by-project basis. In some cases, an effective way to grow and sustain the design support network and supply chain needed to maintain, modify and repair will require involvement in manufacturing the platform. In other cases, Australian industry may contribute to the design and manufacture of components or subsystems. In almost all cases, industry professionals will continue to help provide the capacity for Defence to be a ‘smart buyer and owner’. The Coalition government is acting to change the national dialogue around defence and defence industry. Building on the FPR and DIPS, the defence minister is starting a dialogue with state government defence industry advocates to increase collaboration to enhance a nationally sustainable industrial base. 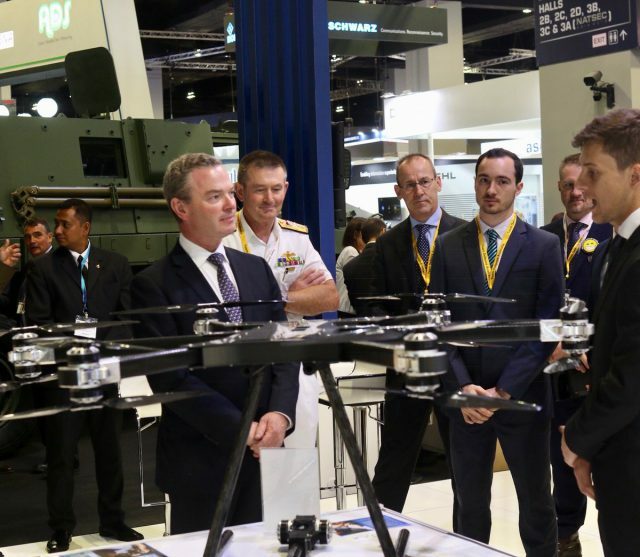 The announcement by Prime Minister Malcolm Turnbull of an ambitious plan aiming for Australia’s defence industry to become a top 10 global exporter within the decade is also a measure to ensure that Defence has a capable industry partner when it’s needed. Given the old mantra about jobs, some commentators almost immediately made unfavourable comparisons between this export plan and the long history of taxpayer support for the car industry. Such criticism is fundamentally misguided, failing to acknowledge the transformation underway following the FPR and DIPS. The DIPS and export policies were in turn derived from the findings of a bipartisan 2015 report from the Joint Standing Committee on Foreign Affairs, Defence and Trade  (JSCFADT) that recognised that as a FIC, some elements of defence industry are vital to Australia maintaining a sovereign ability to secure our national and economic interests. The JSCFADT report also found that these elements of Australian industry cannot be sustained solely on the basis of ADF procurement. Export markets are needed to carry key industrial capabilities and the corresponding workforce through periods of fluctuation in domestic demand. Achieving export sales, by definition, also means that the product is among the best available in the international market. This pursuit of internationally competitive intellectual property in critical areas means that Australia’s Defence Force benefits from companies remaining at the cutting edge of technology and military capability. The government, therefore, has an interest—an obligation, even—to identify those elements of industry that are fundamental inputs to defence capability. Once identified, the national interest is served by using all available means—including domestic procurement programs and support for exports—to enhance and sustain them. This is the purpose of the Sovereign Industrial Capability Assessment Framework described in the 2016 Defence Industry Policy. Some commentators have been particularly critical of the funding made available through the Export Finance and Insurance Corporation (EFIC). Taking a whole-of-government perspective, however, requires a ‘systems engineering’ approach to identifying and then investing in each element of a sustainable sovereign defence industry base. It’s a poor investment to help a company design and build an outstanding piece of military equipment if preventable commercial barriers preclude a sale to the intended customer. The uncertainty associated with defence sales—covered by international obligations such as the 2014 Arms Trade Treaty and often subject by foreign governments to ‘national interest’ considerations—is one such barrier. Commercial lenders can be reluctant to underwrite an Australian company in such circumstances. Additional funding for EFIC is a logical step to ensure that companies providing important industry capabilities to Australia are able to compete in these often complex foreign markets. Unlike offsets or other subsidies, assistance to facilitate defence exports isn’t primarily about job creation. The primary purpose is to ensure that those aspects of industry that Defence has identified as essential are there when needed. This is real ‘value for money’ that gives the best assurance that defence equipment—over its entire operational life—will be serviceable when needed, in a configuration that’s operationally effective, and at the lowest possible cost to taxpayers. The export strategy builds on the 2015 JSCFADT report, the First Principles Review and the 2016 Defence Industry Policy. These recognise that a healthy industrial base—one able to retain a highly skilled workforce in key areas—is a crucial enabler to securing Australia and our interests. Senator David Fawcett chairs the Australian Parliament’s Joint Standing Committee on Foreign Affairs, Defence and Trade. Prior to his Parliamentary role, he served for over 20 years in the Australian Defence Force (Army) as an experimental test pilot, commanding Australia’s flight test centre at RAAF Edinburgh. Image courtesy of Christopher Pyne via Twitter.